Jumping out of a plane was one of my bucket list items. At the time, the internet was reporting 20,000 feet as the cruising altitude of a commercial jet. The internet is now reporting 39,000 feet as the cruising altitude. 18,000 feet is the highest jump offered in the U.S. There is a thing called a halo jump where you jump with military gear from 30,000 feet but nobody is booking them. It is a pay and wait scenario. Researching online, I could not figure out how to jump on my own. I did a tandem jump which I was still pretty excited about. 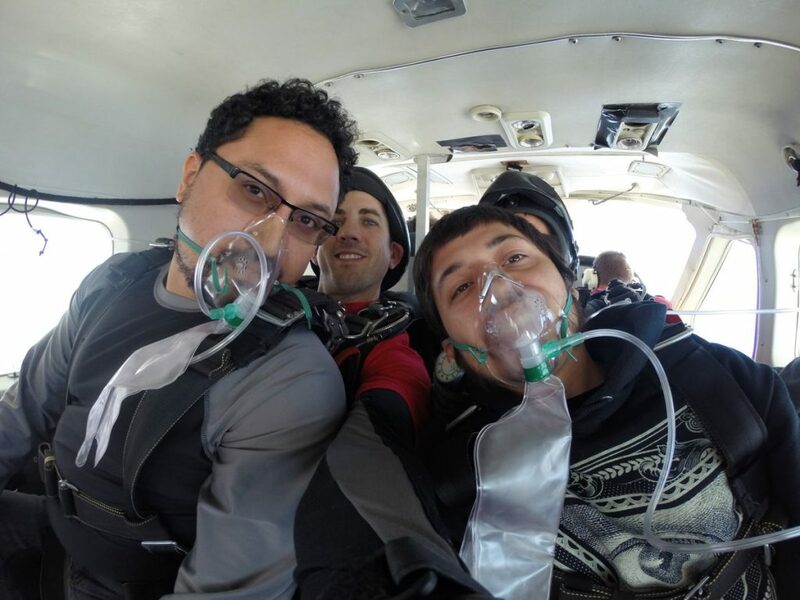 A solo jump on the first go requires an 8 hour class and most places require 2 tandem jumps anyways before you can take the class for safety reasons. 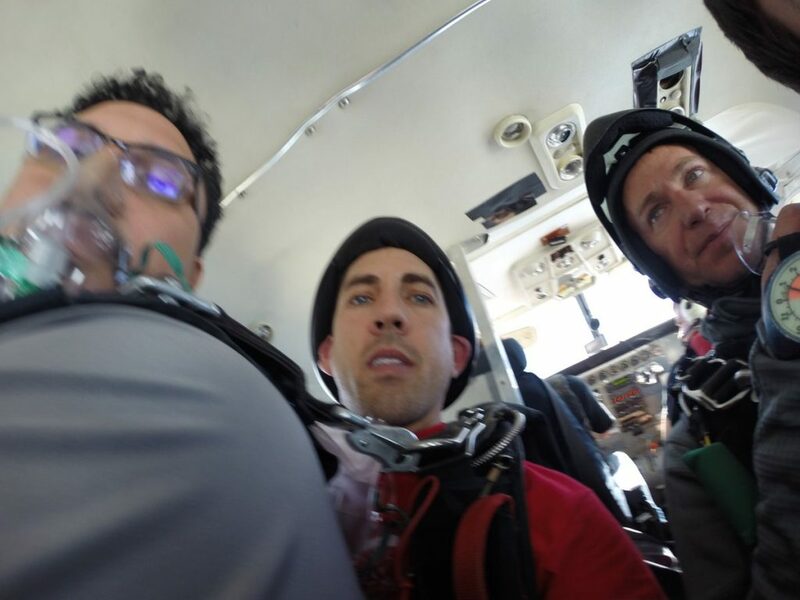 I jumped from the highest possible altitude on my first go. 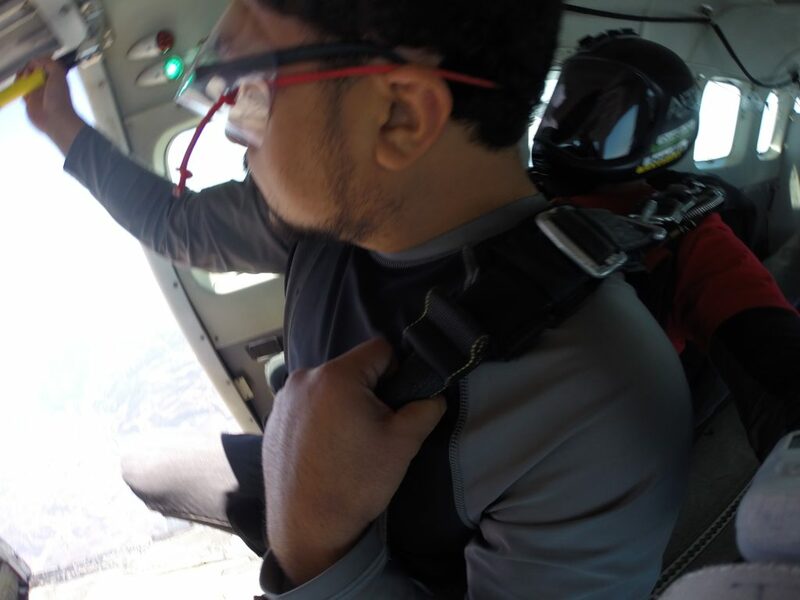 When we jumped out of the plane, we spun around and I could see the curvature of the Earth’s atmosphere and the plane fly by before spinning around to face the Earth. It was surreal and the picture captures a bit of that magic in the upper left where you can see the sky getting darker but it is complete daylight down below. I’m not sure if there is a fisheye effect on the picture but pretty similar to how things looked during the jump. The guy all the way to the right is holding an altimeter. It has already spun all the way around so “0” is actually 12,000 feet and we are currently at 13,000 feet (12,000 + 1,000). All the other jumpers have left and we are the last one’s on the plane besides the pilot. Here’s the only person that would come along with me on the jump. I almost jumped alone. We are on oxygen since the plane has an open cabin and the air get’s thinner after 10,000 feet. Just six people on the plane: 2 jumpers, 2 instructors, pilot and co-pilot. 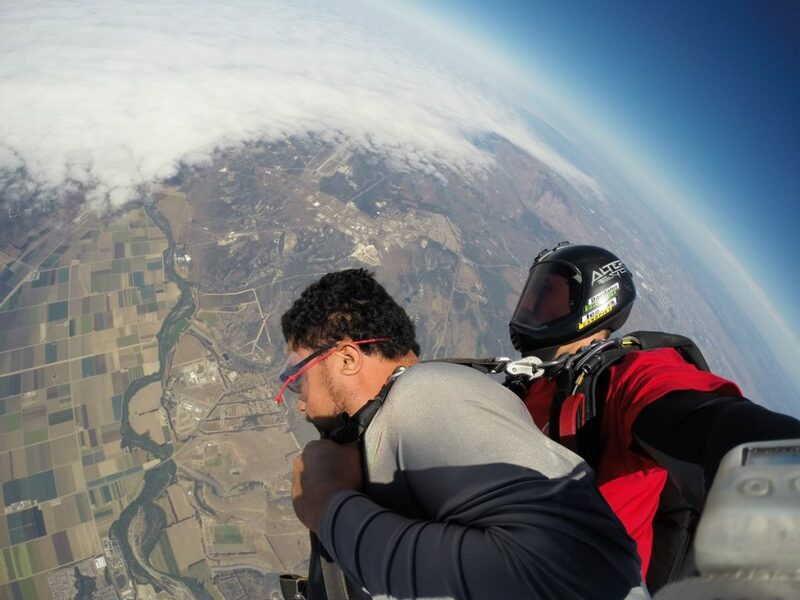 My buddy jumps out of the plane first from 18,000 feet. Doesn’t look to bad from where I’m sitting. My turn. 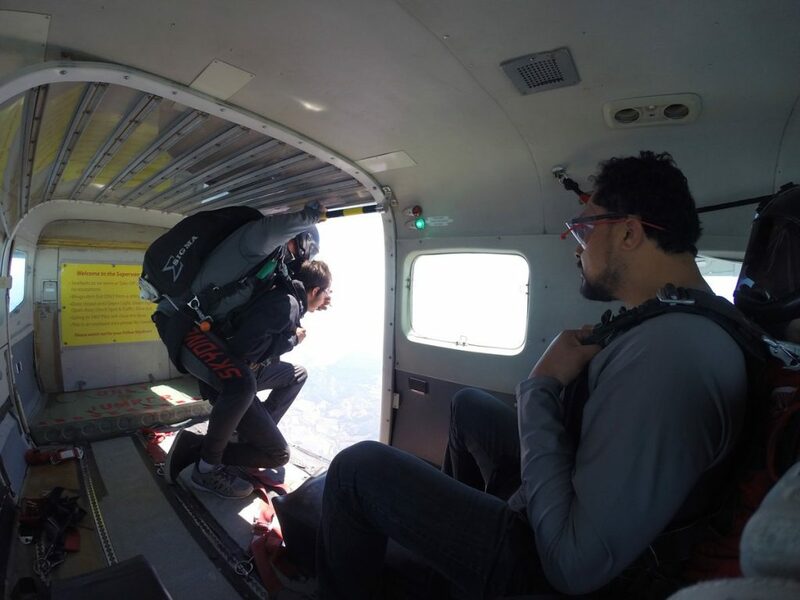 Did one more jump from 13,000 feet after this and haven’t had a chance to jump again.